Diamond Shine Cleaning Service is the culmination of many different experiences we have had throughout our lives, it spans 40+ years and countless revelations that have made us who we are. 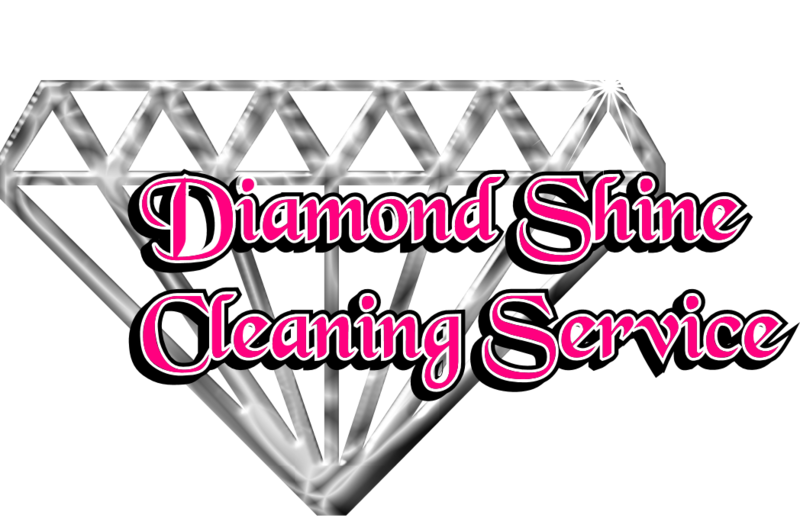 Our story starts with me Bianca, I started Diamond Shine Cleaning Service back in 2012. But we have grown into a family since then, so I am going to include a little bit about what we all bring to the table for our clients. Our cleaning company has turned into an amazing team, and I hope we continue to grow. Growing up in Texas my mother used to have a cleaning service of her own. She used to work for the small motels on the outskirts of my hometown; cleaning the rooms, laundry service and just about anything she could do to help those small business owners run an efficient business. From the time I was a little girl, I was her number one employee. Where she went, what she was doing I was right there with her. We used to work all morning into the afternoon...tidying, folding, scrubbing and making every room spotless. I learned a lot from my mother, but the most important lesson I learned from her is my work ethic. When I turned 18 I decided it was time for me to venture out into the big world. I've lived in many of this great country's big cities, in each city I made a living the best way I knew how; my career began working for a large hotel chain.... you guessed it, I was a cleaning lady. Thanks to my mothers training and the way I grew up, I quickly moved up the ranks. The standard of cleaning these companies found acceptable surprised me. My mother had always taught me to do my best at whatever cleaning job I was tasked with. So I just continued doing everything the way I was taught, was promoted, trained my team and I believe the property really benefited from the example I set. After some amazing years working for that hotel chain, I decided I needed a change. I moved to Michigan and began working in other fields, still picking up some side work in the cleaning industry to make ends meet. Around this time is when I started to do some construction cleanup work. It was hard work, but I really like the pace after working 40-50 hours a week chained to a desk. As I worked construction cleaning I learned many valuable skills, and saw how much work goes into getting a new building running. Construction Cleanup is also where I met my husband, It's a really good story by the way....but probably not what you are here for ( so ask me about it if we ever meet ). After some years with this schedule the needs at home changed, and I had to take care of some responsibilities at home during the day. My husband Steve was the bread winner for awhile and everything was going great at home, but I couldn't stand not working. So I picked up a part time office cleaning job at night to earn some extra money and feel the pride of working again. i loved working my commercial cleaning job at night, and met some interesting people. Working with all of the different types of businesses was fascinating to me. It was so interesting meeting the different people, learning the specific needs of each business owner and seeing how impressed they were with the work I was doing. 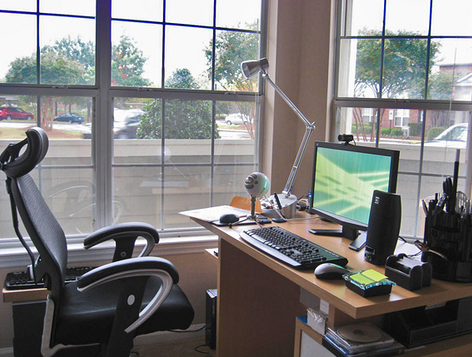 Everyone likes their office to be spotless and tidy. The only problem I had was with some of the people who treated thiese cleaning jobs like they didn't matter, working for paycheck with little concern for how they earned it. I always gave it my best and it would frustrate me when I saw someone not take the job as seriously as me. 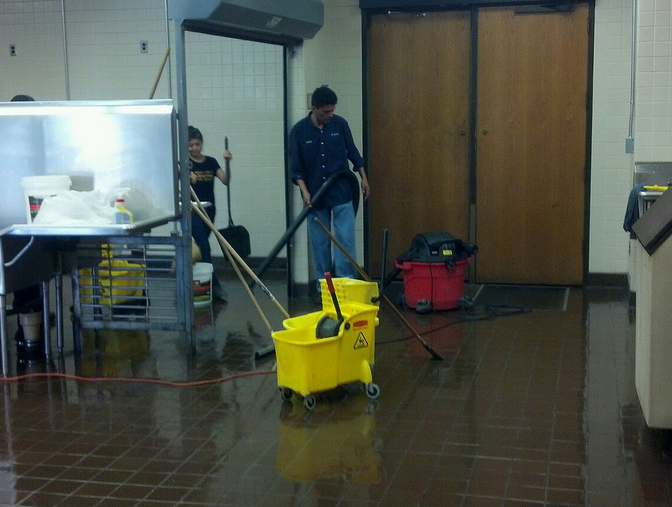 But I continue working and doing each businesses cleaning to their standards and was happy. We had this large client sign a contract with another cleaning company, and I was asked to stay on the job for the new company. They had heard about how well I was preforming from the client, and they wanted me to be the supervisor for that building. I took the position, kept the the building spotless and even took over the perishable supply ordering for the client. Then another cleaning contract came up for the building, I heard they weren't happy with the new company I was working for......so I thought "I can do this". I spoke with the building manager and told him I would personally like to take the cleaning services for the building over and Diamond Shine Cleaning Service was born. Diamond Shine took the building over, and I began my new career as a Cleaning Company Owner. It has been fantastic! My husband Steve started doing the books I was able to pick up more businesses I could help and we started hiring employees. In fact my first hire ended up being my best friend who I had met years earlier when I worked at the large hotel chain I mentioned earlier. She has a similar background, high standards and a work ethic that rivals my own. She is the supervisor on a lot of different properties we work with, the clients love her and she has added so much meaning to the lives of everyone here at Diamond Shine. We continued to grow, offer more services and hiring more employees. I work a lot, but its okay, I love what I do, the clients I work for and the people I work with. We have truly become a family. So that is it....here we are! I would like to invite you to take a look around the site, check our Facebook Page out, leave a review if We have worked with you, or give us a call to learn more about the cleaning services we offer. We would love to meet you!